The clock is ticking for the indigenous fishes of the Western Cape. With each successive year becoming the ‘hottest on record’, the necessity for adapting to a warming planet becomes all the more urgent. The region is facing its worst drought in a hundred years and water scarcity is making headline news. Heatwaves, dry dams and severe storms are just some of the early-warning signals that all is not well with the country’s weather. Awareness is growing that we need to prepare ourselves for a future with higher temperatures and less water. For conservation – locally and globally – this means finding ways to build resilience into natural systems. In the face of change and uncertainty, one thing is becoming abundantly clear – balancing water for human communities against the needs of the environment is about to become a whole lot more complex. Collaborative, inter-disciplinary research will be needed to inform far-reaching management plans. Accurate data of a high standard – on the availability and distribution of water, as well as on the ecological requirements of our freshwater ecosystems – will need to feed into long-term conservation strategies and water resources management. Outdated policies will need to be adapted to meet the challenges of the new status quo. Freshwater ecosystems are very much a part the remarkable landscapes and biological diversity of the Western Cape. Shaded by groves of Cape willow and wild almond and stained by tannins leached from fynbos vegetation, the rivers and wetlands flowing off the sandstone peaks are vital lifelines for downstream human communities. They are the arteries of the land. They deliver the water we depend on for our day-to-day lives. They are lifeblood of agriculture and they supply the single resource that underpins everything from energy production to vehicle manufacture. Yet, despite their fundamental socio-economic importance, there is little appreciation for the fact these systems also support a diverse and unique fauna, as deserving of protection as any of their terrestrial counterparts. This is especially true of the Wesern Cape's twenty-odd indigenous freshwater fish species – including newly described species like the giant redfin, which was discovered as recently as 2008. But we may be losing these species as fast as we discover them. The introduction of alien invasive fishes from Europe and North America, the building of dams, the misuse and over-abstraction of water, neglect and habitat destruction has pushed many of them to the limit. Four of the recognised species are listed as critically endangered, nine of them are considered endangered and three are vulnerable. Many of these fish are seldom seen – and some are so rare that they are found in just one river. With support from the Table Mountain Fund and the Water Research Commission, the Freshwater Research Centre recently embarked on an ambitious multi-disciplinary collaborative study involving the South African Institute for Aquatic Biodiversity, CapeNature and the University of Cape Town to understand current threats and distribution patterns and to predict how populations are likely to respond to future climate change scenarios. The early results of this study are beginning to paint a worrying picture. It was evident to us from the start that climate change would exacerbate existing pressures on freshwater fishes with the main stressors being reduced rainfall and increased temperatures. Less rainfall will mean less water in rivers, and higher ambient temperatures would likely push summer pool temperatures above the physiological tolerances of many species. Our field and laboratory studies, as well as our species distribution models, have borne much of this out. But what they show in addition is that many species will be pushed to the very limits of their ecological and physiological tolerances. In other words, there may be very little room left for them in a warmer, drier world. Our surveys, on the other hand – which took us to some of the most remote rivers of the Western Cape at the very limit of the species’ distribution ranges – have highlighted a critically important, but previously overlooked point – and that is that the current impacts arising from alien species invasions and over-abstraction are so severe that they may match those expected to arise from medium-term climate predictions. This presents both a challenge and an opportunity – a challenge because existing refugia are likely to become increasingly vulnerable – and an opportunity because, by implementing sound water and land management practices now, we can halt – and in some cases even reverse – the effects of years of neglect and give the fish and the freshwater ecosystems on which they depend, a fighting chance. Our species distribution models are showing us where we need to focus our efforts. But for on-the-ground change to happen, a coordinated effort from government, local conservation authorities, water managers, academic institutions and civil society is essential. With the support of the Table Mountain Fund we have been undertaking extensive consultations with key stakeholders to plan a way forward and to explore options for future conservation plans, for incorporating our findings into catchment management strategies and for providing input to water resources and climate change policy. 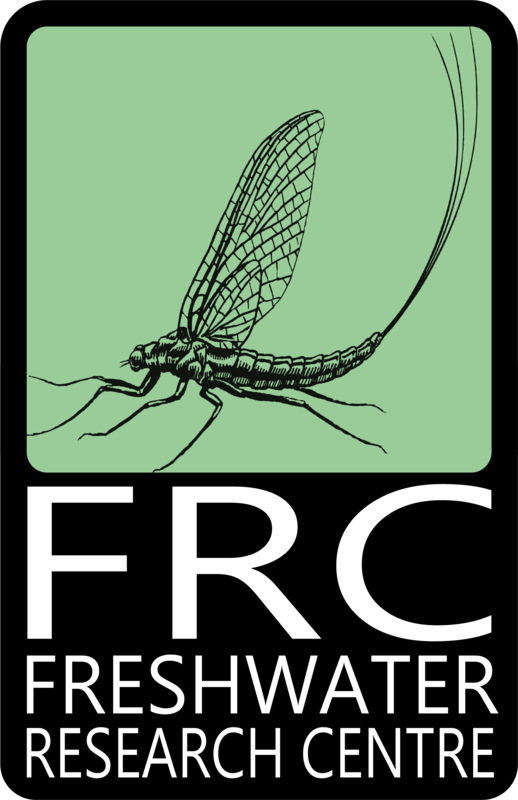 In these ways we hope to ensure that these unique freshwater fish communities remain a part of our future and the future of the Western Cape's river systems for many decades to come.